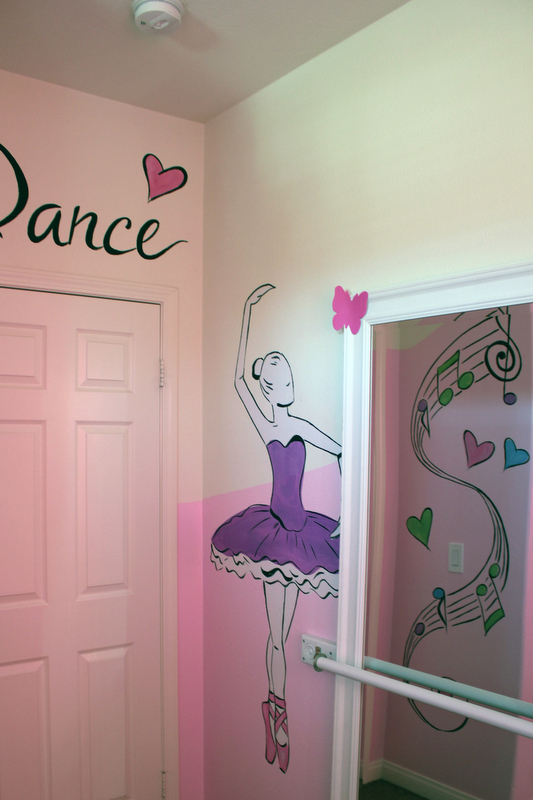 Dance into Siobhan's new ballet inspired studio! Siobhan is an amazing little girl, full of life, hopes and dreams. 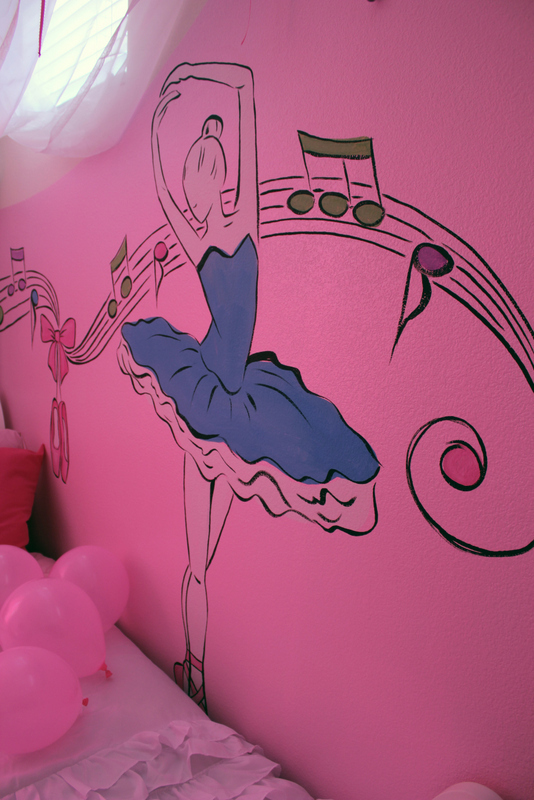 It was such a joy for our team to be able to fulfill a wish for a ballet room! 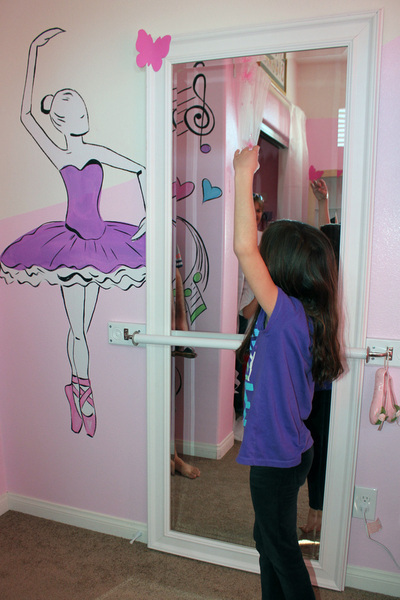 Siobhan's Mom, Andrea, shared that her beautiful nine year old daughter has three loves in the world: her family, giraffes and ballet. She dreams of being a professional ballerina and a giraffe keeper for a zoo! We love the passion in her heart and her devotion to her family and her hobbies. 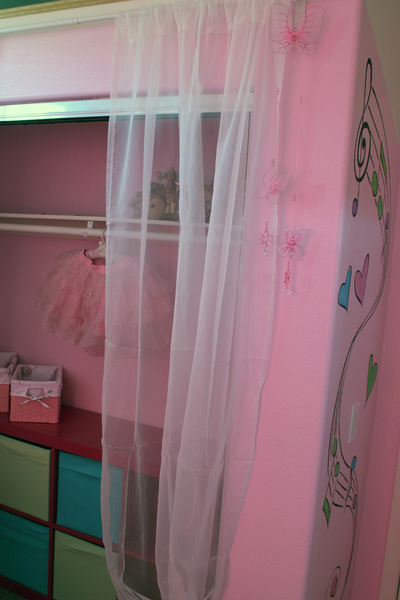 Her family really wanted a makeover for Siobhan so she could have a comfortable environment to relax in when she is ill (which is often) and for her to research her favorite ballerinas or watching videos on YouTube about ballet or giraffes, or just catching up on much needed rest! 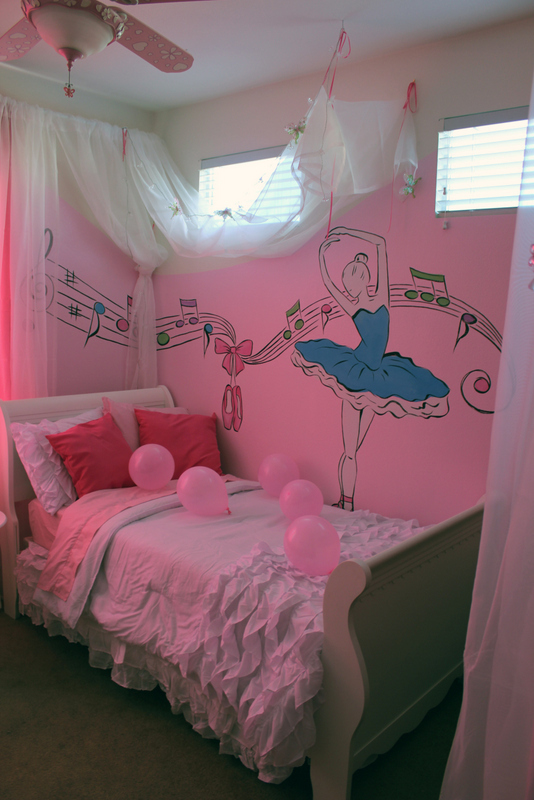 Siobhan's parents are advocates for not just their own daughter, but for other children with Panhypopituitarism. The word Panhypopituitarism. is daunting enough to read or say - but living with this complicated condition can be even harder. Siobhan's dedicated parents, along with other parents, helped define a definition of the disease for a national organization for parents of children with growth related disorders. Simply put, panhypopituitarism means that s child's pituitary gland does not function properly and as a result, the child is deficient in hormones made by the pituitary. Some children have congenital panhypopituitarism, meaning they are born with it. Others have acquired panhypopituitarism following an event such as head trauma, brain tumor surgery, or brain radiation. Unfortunately the condition cannot be cured or reversed, but again, it can be effectively managed. 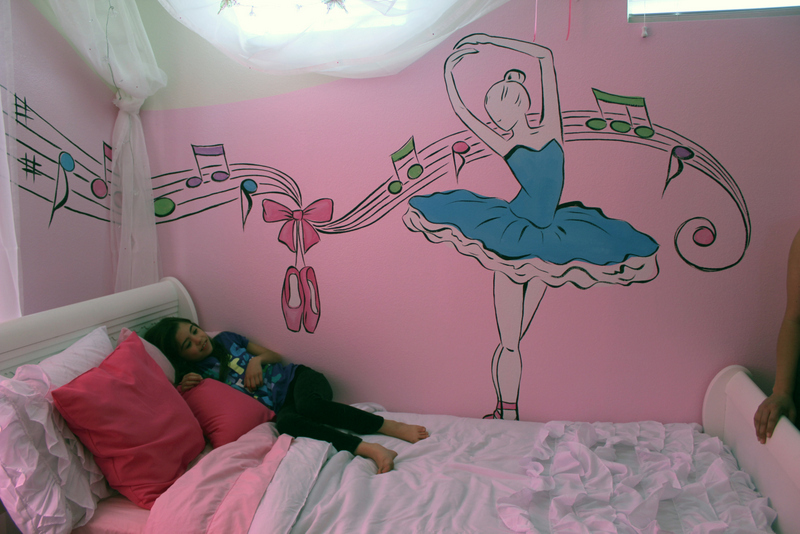 Being teased for her height, taking 3 different medications every day and often getting sick does not keep this future ballerina down. She is lucky to have the support from her Mom, Step-Dad and her adorable and funny younger sister, Natalie. This family knows that while scary stuff can happen, with love, vigilance and care Siobhan's condition can be managed and she can live a full and happy life. We are so grateful to Hanna's Murals for providing the beautiful dance inspired mural, complete with ballerinas and music notes. Hanna is a busy Mom of two but always makes the time to donate her time and talent to our organization. We know the art she left behind will inspire Siobhan every day! Thank you to Mattress Co. Direct for once again providing the beautiful furniture for our team. 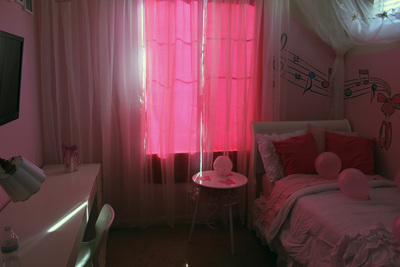 The room is so happy and cheerful and brought big smiles to everyone who entered. Thank you to Julie B., Hunter B., Shirley M, Christina H., and new volunteer, Andrea, for helping make Siobhan's Sweet Dream Makeover come true!